It seems like everyone wants to hire veterans. The Navy Times is reporting that there are 25 federal contractors that are hiring veterans right now. Even companies in the sharing-market such as Uber are hiring veterans. Uber has stated they desire to hire 50,000 veterans and military members. More than 200 employers across Tennessee are looking to hire veterans. Savanah River Remediation has initiated a program to hire veterans. We salute every business and organization, no matter the size, that has chosen to employ our national treasure, our veterans. It is a great day to be a veteran with so many companies and institutions committing to bring our brothers and sisters in arms into their fold. However the work to do is daunting. The unemployment rate for veterans is still too high in a nation that claims to “support the troops”. Lets examine just a few of the reasons why this is and exactly what a company can do to address the issues and reap the huge rewards from hiring high quality military talent. Translating military skills and experience to civilian jobs. Learning the language of veterans and how to understand and qualify their experience. Finding transitioning military and veterans to hire. Finding military skills that translate to the position(s) that an employer is looking to fill can be a daunting task for those who are not used to hiring veterans. Even recruiters who are veterans themselves may struggle with this. Each of the five branches of the US military has a wide variety of jobs and while they may have jobs that are the same they may have different names or military specialty codes. For example, military skills may have differing military job titles across the various branches such as MOS, MOSC, Rating and Designator. An Army veteran you have in your HR department may or may not be familiar with positions and military specialty codes from other branches all depending on his/her military background. It can take an employer a significant amount of time to get an HR person or team educated enough to tackle this obstacle. Another issue that comes up with HR departments can be reflected in both the resume and interview process. Military veterans use a LOT of military specific dialogue/vernacular that may be completely lost on someone reviewing their resume or interviewing them. Each branch of the military has its own rich history and unique culture. Employers can have a very difficult task understanding fully what a service member did during their enlistment. Rank becomes another confusing aspect of the military that can be lost on an employer. These issues can keep an employer from asking critical questions or understanding key experience during the interview and resume process. Once an employer feels like they have a good bead on some of the above challenges then they probably feel ready to start finding veterans. Looking on resume sites such as Monster or hosting job fairs, while common methods, is actually not the ideal way to find veterans or transitioning military. Most employers do not directly post positions to places where transitioning military personnel or veterans regularly and actively look for employment opportunities. When they do, it’s a small number of postings and most employers miss 95% of what is out there and available to them to help them find high quality military talent. Without someone in the HR department who has intimate knowledge of the places to look the results of an employer’s search will be dismal. So what is an employer to do? Giving up is simply not an option, though the numbers make one wonder just what employers are actually doing. Currently the unemployment rate for those under 30 is around 6% nationally. Among veterans however, that number is double at roughly 12%. 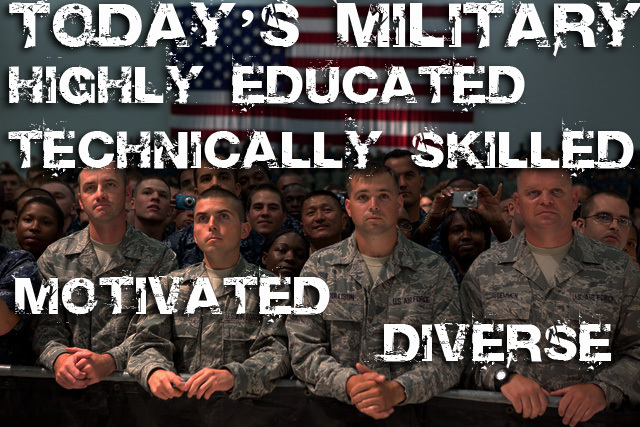 As we have stated repeatedly in previous articles today’s military is the highest educated, best trained, most technically knowledgeable and diverse group of men and women the military has ever unleashed on the civilian workforce. Their motivation is higher, their desire to learn and to lead is well above that found in any demographic group of potential employees an employer will look at today. It’s pretty obvious that the challenges listed above are very significant to employers. We have been helping companies hire veterans for over 35 years! We have the solution. 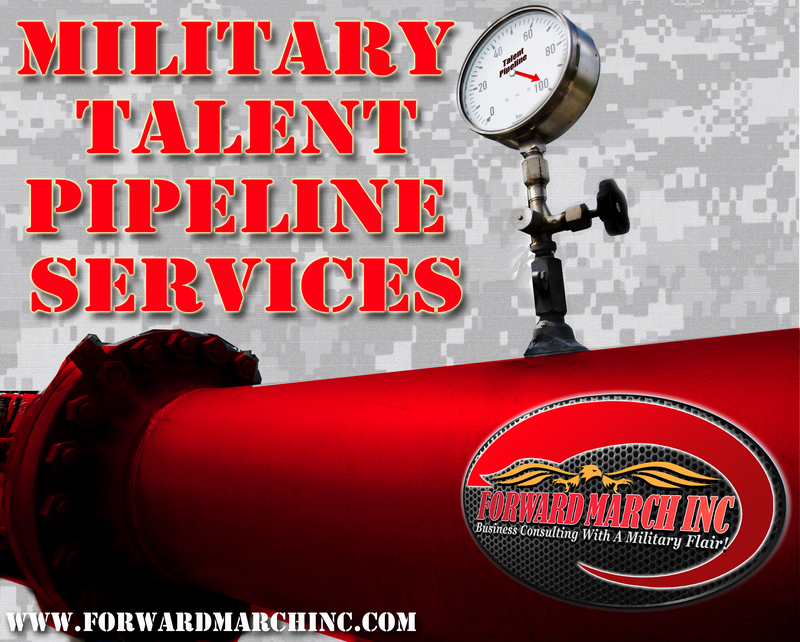 Forward March Inc. (FMI) has over 35 years of collective experience helping employers and veterans connect. 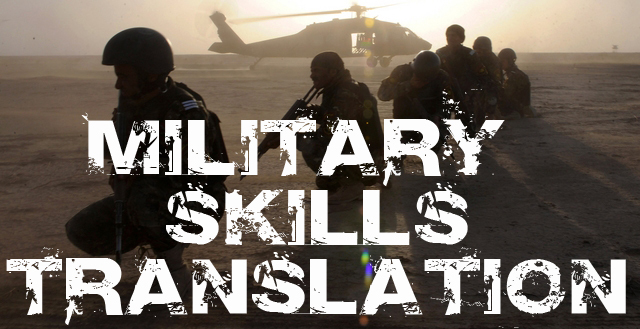 Our understanding of military skills translation is second-to-none. We not only understand the military branches and their skills we can help train your HR team to this as well. We have written a Military Hiring Guide that can guide your team step-by-step through the understanding of military skills and rank to finding the right military talent for your various positions you are seeking to fill. FMI was founded to deal with the very issues we are discussing in this article. We are a company of veterans helping veterans to actually get real and meaningful careers as opposed to just throwing their resumes at potential “jobs”. We never charge a veteran and we are deeply committed to veteran retention, because its not good enough to commit to hiring a veteran, companies need to learn how to retain them. Our customized and scalable solutions can help any company or organization of any size start finding, attracting, and hiring veterans very quickly. FMI knows EXACTLY where to find your military talent. We understand the skills translation and we have a wealth of resources for helping you to get the positions you are hiring for right in front of both veterans and transitioning military personnel. The reason our solution is different is because we focus on strategy. A company can come to us and use our services as their one-stop-shop for finding, screening, and hiring of high quality military talent. We can also train HR teams and individuals on how to find, attract, hire and retain military talent. Companies who use both solutions very quickly begin their military hiring program and enjoy the benefit of learning how to do what we do in the process. FMI can also help your company with strategies and solutions for retaining the veterans you hire. FMI is different because we don’t leave the solution at pipeline services and training. 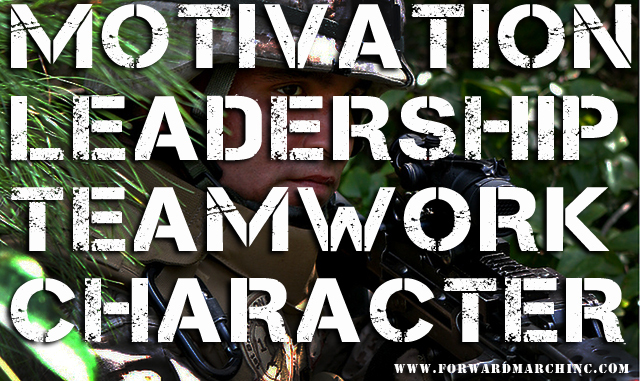 We also train and help build internal strategies and solutions to create a vibrant veteran culture in your company. This helps with retention and also feeds new veteran talent into your pipeline from your most trusted source, your veteran employees. Support our troops! Give us a call today and get started on your veteran hiring strategy. Together we can change the lives of veterans, help your organization reap the rewards of hiring veterans and bring down the veteran and overall unemployment rates. FMI is committed to our customers. We know that making the decision to hire veterans can be intimidating. Ask about our Quick Start program. We can get you started hiring veterans immediately and do it at a cost you can afford! This entry was posted in FMI Products and Services and tagged acap, air force, applicant pro, apply, apply for job, armed forces, army, business consulting, business strategies, camouflage to corporate, camouflage to corporate conference, career opportunities, career opportunity, coast guard, Designator, dice, employers, employment, employmentguide.com, energy company, forward march inc, hire military, hire transitioning military, hire veterans, hiring, hiring strategy, HR, HR department, HR director, HR recruiter, HR team, human resources, indeed.com, military experience, military hiring strategy, military skills translator, military talent, military talent hiring guide, military talent pipeline, military talent pipeline services, Monster.com, MOS, MOS translator, MOSC, mysanantonio.com/jobs, Rating, recrtuiter, recruiting, san antonio, shrm.org, snagajob.com, support military, support our troops, texas, usajobs.gov, veteran culture, veteran employment, veteran hiring strategy, veteran unemployment by Forward March Inc. Bookmark the permalink.